Major League Soccer continues to do very well among local fans with strong attendance numbers, and has even dished out some big contracts to a few star players. But the overall quality of play still lags behind other leagues and that has a lot to do with how much the league pays its players. While the league will occasionally hand out a big contract, such as the recently signed $US7.2 million per year deal for former FIFA World Player of the Year Kaká, those deals are rare. Nearly one-third of the league’s total payroll goes to seven players, and only 15 of the 572 players in the league make $US1 million or more while many make under $US50,000. 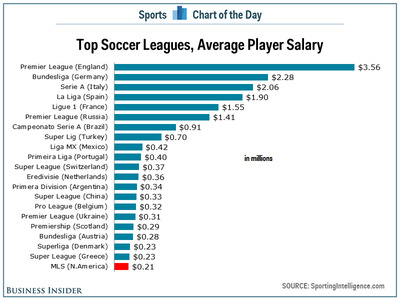 As a result, the average salary in MLS is just $US213,000 per year according to SportingIntelligence.com. 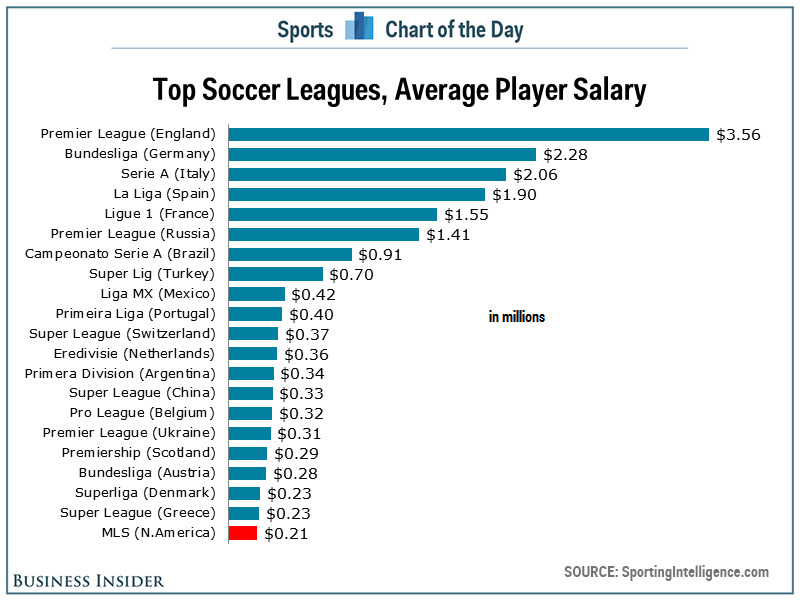 That ranks just 21st among the world’s top football leagues and is a big reason many experts won’t rank MLS among the top ten leagues in the world.